Collaboration project between myself and rogueNoodle (check out his games here). 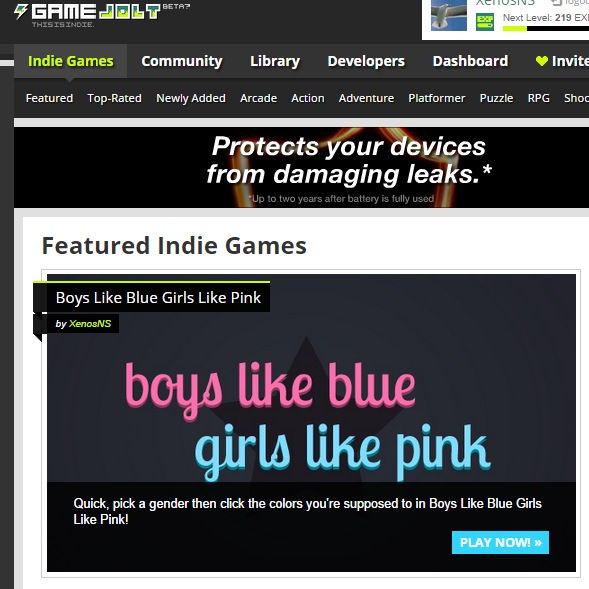 Boys like blue and girls like pink, or do they? 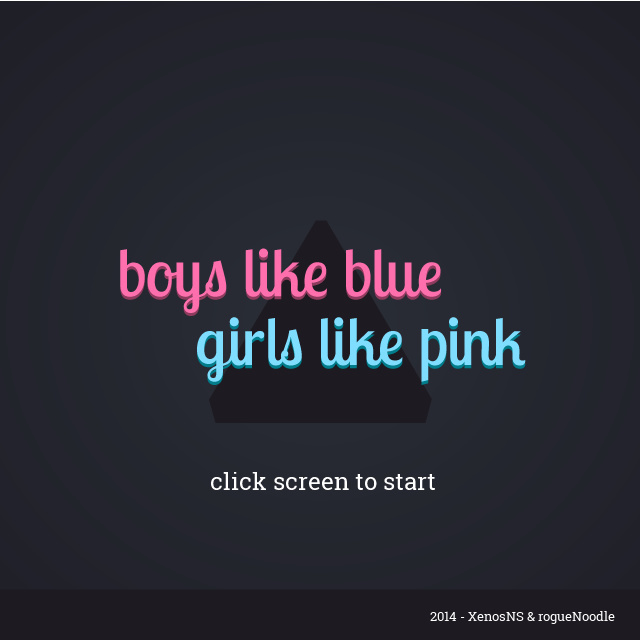 Pick a gender and click on the coloured blocks associated with it within 60 seconds. 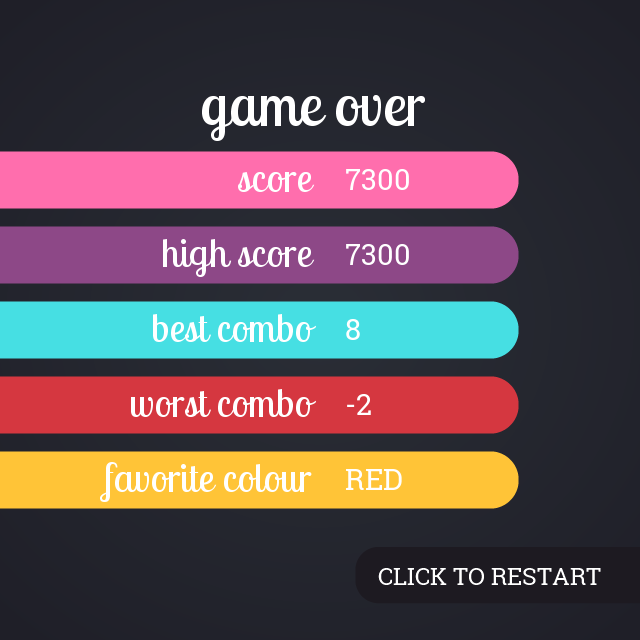 Click the correct colour repeatedly to increase your combo. 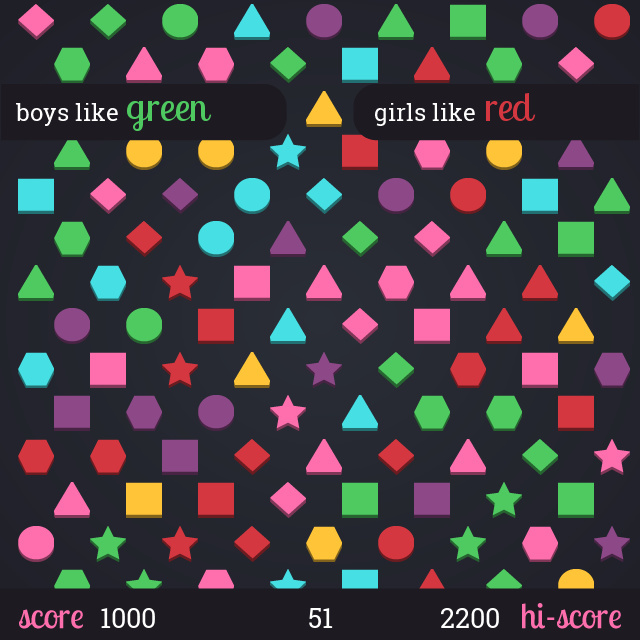 Incorrect selections will reduce your score. A positive combo of x10 will add 10 seconds to the clock. Note: Using a mouse is recommended.